Arcade Fire claim their third consecutive No. 1 album on the Billboard 200 Albums Chart with Everything Now debuting atop the chart with 100,000 equivalent album units sold! Congratulations! Climbing to No. 2 we have Kendrick Lamar's DAMN. with 47,000 units and holding its spot at No. 3 we have Meek Mill's Wins and Losses with 37,000 units sold. 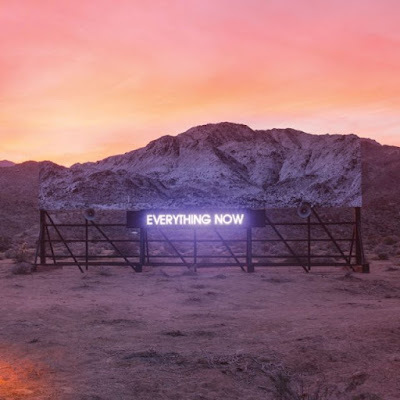 Os Arcade Fire conquistam o seu terceiro álbum #1 da tabela de álbuns mais vendidos nos EUA com Everything Now a vender 100,000 unidades na sua semana de estreia. A subir para o #2 temos DAMN. de Kendrick Lamar com 47,000 unidades e a segurar o #3 temos Wins and Losses de Meek Mill com 37,000 unidades vendidas!